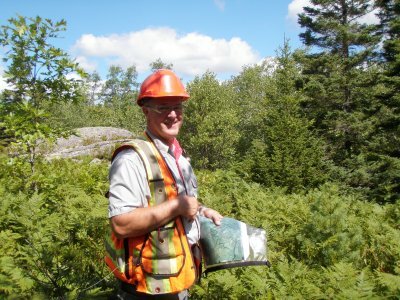 There are two types of Forest Professionals: Registered Professional Foresters and Forest Technicians & Technologists. The skill sets required for both professions include a current knowledge of a variety of aspects of environmental forest management, but are significantly different when it comes to the education and depth of knowledge required. Becoming a Forest Technician requires a technical diploma in Forest Management (2 years) whereas becoming a Register Professional Forester normally requires a minimum of a Bachelors Degree in Forest Management (4 years). 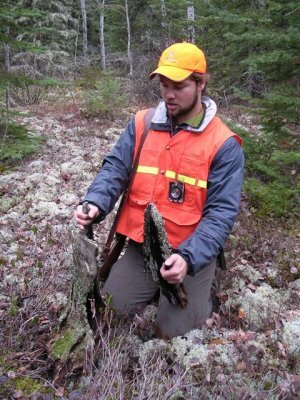 There are approximately 100 Registered Professional Foresters and 200 Forest Technicians in Nova Scotia today. Today'sProfessional Foresters pursue careers to ensure a healthy future forest for the benefit of both people and the environment. Careers range from practical day to day management of our forests to conducting cutting-edge scientific research in a variety of forestry related disciplines. Traditional forestry careers have included forest management for the production of timber, pulp and paper and other wood products, overseeing timber harvesting operations, identifying insect or diseases, forest fire control, and parks planning and operations. Advances in forestry and our understanding of ecology mean that the modern Professional Forester must have a holistic view of the forest. Professional Foresters will normally consider tree species, wildlife, fires, insect and disease reduction, aesthetics, recreation, water protection, stand reestablishment, and the environment when they undertake their work. Professional Foresters have always worked to breed the healthiest seeds and planting stock. Today we face the challenge of establishing trees that will thrive over their expected life time (60 to 160 years) and adapt to the new environmental conditions expected from climate change.